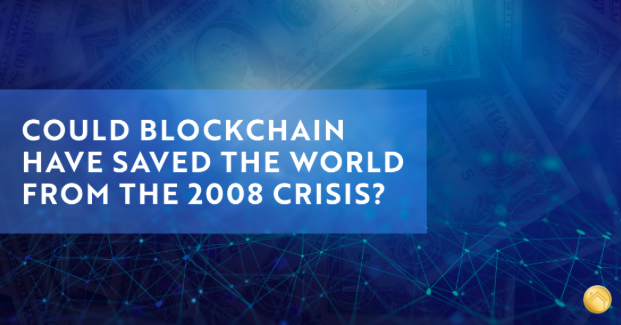 Blockchain didn’t exist in 2008 when the global financial crisis occurred. Let’s imagine we’re back in 2008, and blockchain is as popular as it is in 2018. Could distributed ledger technologies and their use cases predict or even prevent the crisis? Let’s find out. “If blockchain technology had been introduced into the financial markets during the 2008 crisis, the bankruptcy of one of the largest U.S. investment banks, Lehman Brothers, could have been avoided.”- Christopher Giancarlo, head of the Commodity Futures Trading Commission. Lehman Brothers is an American investment bank, formerly one of the world’s top financial conglomerates (in the past, it was one of the world’s leading investment businesses). On Monday, September 15, 2008, Lehman Brothers filed for bankruptcy in court. The total debt of the entire holding structure was $613 billion. Lehman Brothers’ bankruptcy is often seen as the starting point of the global financial crisis, marking its transition to the acute phase. Fortune notes Giancarlo’s emphasis on the fact that the use of distributed ledger technologies would have made the investment giant’s financial problems obvious. It would have helped determine the turning point that financial regulators missed. Such technology would have allowed regulators to use intelligence data, information on the movement of smart contracts, and other tools for identifying financial anomalies in the bank’s activities. Regulators could have reacted earlier and minimized damage to the global economy. Based on this information, Giancarlo highlights the need to promote the development and implementation of blockchain technology in the financial system, and to make an effort not to impede this process. He compares blockchain with the Internet more than 20 years ago (when it first came out). How Could Blockchain Have Helped? Blockchain, a new technology, could become a reliable fuse, effectively counteracting crisis phenomena in international financial markets. It is more effective than the requirements of traditional regulators and supervisory agencies, whose integration into innovative Fintech solutions looks rather strange. 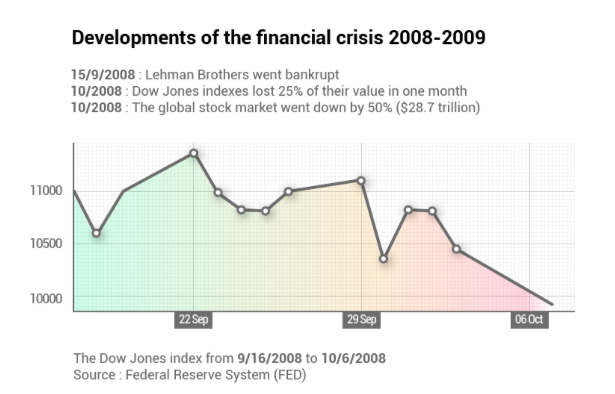 Exactly 10 years ago, a real bomb exploded in the world of finance, leading to growing financial and economic crisis. Fueling the economy with freshly collapsed loans, banks froze the process of issuing new money, and the national industries of many countries went into free fall. Many experts say that a new financial crisis could occur. The whole question is when — and what could be done to prevent the worst? Supporters of blockchain argue that this technology is able to compensate for the human factor that causes the decisions of banks, regulators, politicians, rating agencies, and experts to collide. In any case, exactly ten years ago, all of these groups openly overslept the impending crisis without seeing the “explosives” that had been put under the world’s economy. “If the blockchain system had existed then, and if the balance sheets of the banks and the data on their liquidity reserves had been recorded using technology built on the principles of blockchain, the degree of transparency in the market would have been higher, and fear of getting into a crisis situation would have been much less,” says Martin Bettinger. He is convinced that the financial industry should not be fully transparent, because this could negatively affect the degree of bank competition. The most basic and important data should be at the disposal of experts and traders, and should be actualized in real time. 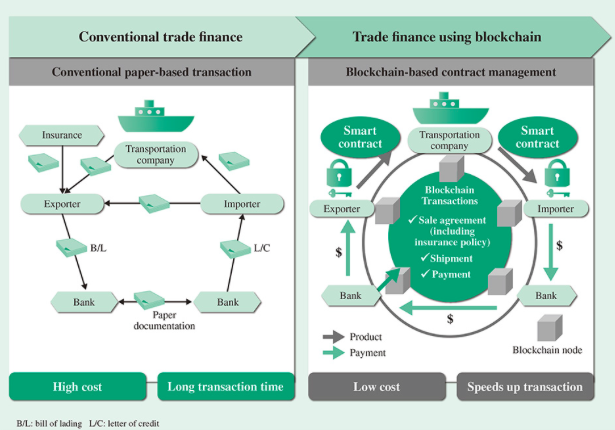 Digital smart contracts built on the blockchain could also be the key to solving the problem of increased overall predictability and sustainability of global financial-sector instruments. Ten years ago, banks failed to recognize the impending crisis in time, since they had completely lost control over “securities” created on the basis of risky mortgage loans. The structure of these toxic assets became more and more complicated. No one could predict what was going to happen in the market for these “securities.” As a result, the pyramid became too large, complex, and therefore unstable. Mark Bettinger is convinced that blockchain could have provided much greater transparency, even in such a situation. Smart contracts automatically concluded between players on the market are able to significantly reduce the degree of conflict between them by providing the unique opportunity to track each transaction and store its hash on the blockchain, thereby making it immutable. Ten years have passed. What is the current situation in the financial world? Are markets ready to respond in time to signs of a new and threatening crisis? What tools do they have in hand that could help prevent the next collapse in the market? These questions are by no means trivial. Neither are they rhetorical, considering how hard it was for a giant like UBS Bank to recover when the whole world had to save it with taxpayer funds. Axel Weber, Chairman of the Board at UBS, recently stated that he is confident in his bank, and if the market collapsed today, it would not be necessary to save it at the expense of public funds. Axel Weber says that in recent years, UBS has significantly reduced its riskier investment activities and number of workplaces. In addition, it has accumulated significant reserves, focusing on the initial basic form of banking activity — namely, managing personal capital. “And yet it seems that now, we are back in 2006, when everyone was just doing what they thought about the coming crisis, and figuring out how to cope with its consequences. Nothing good has come to an end,” says Jes Staley, Executive Director of Barclays Bank, in Davos at a podium discussion. The problem is that the 2008 crisis caught the entire global financial industry off guard. Therefore, there was no shortage of warnings about a possible new global financial crisis at the Davos Forum, the onset of which should not be ruled out. Of course, new regulatory prescriptions can guarantee against a new collapse in an old scenario, but what if a future crisis starts completely differently, in another sphere and for different reasons? “If a new crisis occurs, we will all understand that in reality, there is no Plan B,” stressed the famous American economist Kenneth Rogoff in Davos. In his opinion, a higher degree of transparency in financial markets, as well as the ability of leading actors in this sphere to more adequately assess the danger from “toxic assets” (namely, blockchain technology), can at least reduce the degree of destruction and make the general trust of investors and traders more durable. James Lopez is the CTO at HFC Coin, a mortgage blockchain company. James is a multidisciplinary software developer and entrepreneur. James has over 15 years of experience in software development and software related project management.